The 62-year-old is contesting an interim debt order obtained by the Indian banks in January this year, which relates to funds in the former Kingfisher Airlines boss current account with ICICI Bank in London. At a hearing before Master David Cook at the Queen's Bench Division of the court, Vijay Mallya's legal team sought a dismissal of the interim order. A judgment in the case is expected at a later date. The case is part of wider efforts by SBI and 12 other Indian banks - Bank of Baroda, Corporation bank, Federal Bank Ltd, IDBI Bank, Indian Overseas Bank, Jammu & Kashmir Bank, Punjab & Sind Bank, Punjab National Bank, State Bank of Mysore, UCO Bank, United Bank of India and JM Financial Asset Reconstruction Co Pvt Ltd - to recover some of the funds owed to them as a result of unpaid loans by Vijay Mallya's now-defunct Kingfisher Airlines. In a ruling in May last year, a UK High Court judge had refused to overturn a worldwide order freezing Vijay Mallya's assets and upheld an Indian court's ruling that the consortium of 13 Indian banks were entitled to recover funds amounting to nearly 1.145 billion pounds. Vijay Mallya had been granted 20,000 pounds in weekly allowance as a result of the worldwide freeze order after his legal team made representations to the court to hike the initial 5,000 pounds weekly allowance. 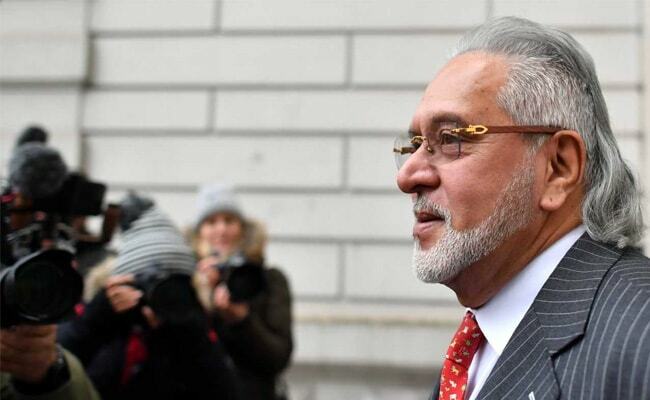 Vijay Mallya, meanwhile, remains on bail after his extradition was ordered by Westminster Magistrates' Court in London in December last year and signed off by UK home secretary Sajid Javid in February.